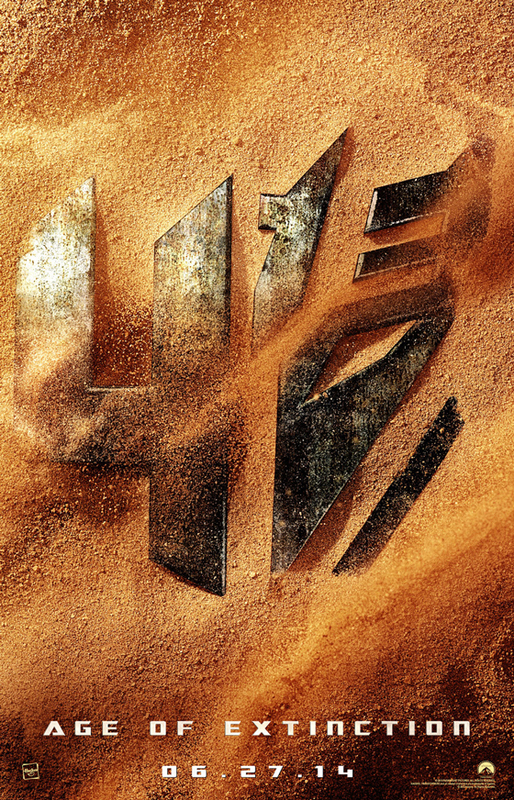 Transformers 4: Age of Extinction Teaser – The Dinobots Are Coming! Part continuation, part reboot, all awesome! Our first look at Transformers 4: Age of Extinction during Sunday’s Super Bowl brought us into new and yet familiar territories. Despite the greatness of the first movie, the past two installments were confusing and suffered quite a bit on the acting side. With a brand new cast and Dinobots – long time fan favorites – joining the franchise, it looks as though this could be the Transformers sequel we’ve been waiting for. Taking place supposedly 4 years after Transformers: Dark of the Moon, this film features an entirely new cast. No Shia, Megan, etc. Mark Wahlberg will portray the central character for this movie, while his daughter will be portrayed by Nicola Peltz. Jack Reynor will also be joining the cast. Whereas I’m not too familiar with Nicola and Jack – who you might recognize from The Last Airbender and Dollhouse respectively – Mark Wahlberg is a great actor and I can’t wait to see what he brings to the series. One final name you might recognize is Kelsey Grammer – best known for his role as Fraiser. Grammer will be playing the films villain by the name of Harold Attinger. We don’t know much else about his role right now, but I’m willing to bet something along the lines of ‘Transformers are bad’ – we’ll most likely find out once we get a full trailer so stay tuned. Optimus and the other Autobots will of course be returning as well, albeit with a new updated look. Considering the beating they took at the end of Transformers: Dark of the Moon, I think its safe to say a few upgrades were in order. Some raw footage also included silver tractor-trailer transformer. Whether this is Scourge or Ultra Magnus remains to be seen, but since it’s not in the teaser, we’ll save that speculation for later. The Dinobots from the original Transformers series back in the ’80s. First hinted at a few months ago when the film’s poster was released – and always a huge fan request – the Dinobots will in fact be a part of this movie. For those of you who don’t know who the Dinobots are, here’s a brief overview: The Dinobots were originally immensely powerful – albeit not too smart – tranformers created by the Autobots who transform into – you guess it – dinosaurs. Later incarnations would change the story slightly but overall they are always Autobots – aka friends to Optimus and the others. The numbers and ranks might change from each version, but the leader is always Grimlock. Grimlock is the most powerful of the Dinobots and transforms into a Tyrannosaurus Rex. Favoring power and might over most things, Grimlock seems like he would have more in common the Decepticons than the Autobots. Although whereas Grimlock has tried to overthrow Optimus in the past, he has a great deal of respect for the Autobot leader and will always side with him when push comes to shove. He might love power, but he can’t stand those who use their power to oppress the weaker, which will always make him on the side of good. Grimlock emerges in all of his power and glory. Thank Primus he’s one of the good guys! I’m curious to see how Grimlock will be portrayed here, but from the trailer he and Optimus definitely seems to be on good terms – at least at one point or another. In the teaser we get a brief look at a very Megatron-esque transformer slicing a car in half. But Megatron died in the end of the last movie, didn’t he? Well yes he did, but remember he also seemingly died at the end of the first one too -Although to be fair, last time he literally had his head and spinal cord ripped out, which I don’t think you can really come back from – unless you have some outside help. Though what could Megatron have done? Made a deal with the devil . . . . oh wait! Could this be Galvatron’s first appearance? And further more does this give us a sense of sequels to come? In the series there is a being known as Galvatron, and though slightly different in many incarnations – as all transformers are – he is always the reborn version of Megatron. Originally, Galvatron was born after Megatron made a dark deal with Unicron, who for all intensive purposes is the devil of the Transformers series – if the devil was the size of a planet. What usually changes about Galvatron is his abilities and personality. Sometimes he’s a simple upgrade, but other times he’s all but invincible and is fueled by a madness like no other. Judging from our feral looking friend here, I’m willing to bet this will be the crazy and ridiculously powerful Galvatron. It would make sense to have someone that powerful to oppose if the Dinobots are going to be joining the Autobots. Mystery #2: Dragon Transformers – Friend or Foe? Is this new mystery transformer friend or foe? Swoop or Scourge? Once again, the Dinobots have always been on the side of the Autobots, so if this is indeed a Dinobot then it appears this transformer is actually trying to help Bumblebee. We see Bumblebee jumping away from an explosion so maybe this transformer is trying to catch him and carrying him to safety – but still looking incredibly ferocious while doing it. As for the identity of this Dinobot, the only possible solution is Swoop a pterodactyl-based transformer. Although with two heads and two tails, this is certainly an interesting re-envisioning of a pterodactyl – unless its not one at all. Bumblebee leaps from one danger into another . . . or this ferocious transformer trying to save him? This monster actually looks a lot more like a dragon/hydra, which would mean that the Dinobots aren’t the only new addition to the Transformers movie franchise. This may be the beginning of the Beast Wars! For those who don’t know, Beast Wars was a transformers series where they took the form of animals rather than vehicles. These animal based transformers were divided into the Maximals and the Predacons (rather than Autobots and Decepticons). The Predacons have been featured in a few other Transformers series as an ancient extinct race of Transformers – and usually lead by a dragon-like transformer. Again, each version is different but this monster featured here actually reminded me of the hydra-like transformer known as Scourge from Transformers Cybertron – different from the Optimus doppleganger Scourge I mentioned before. Whatever is happening in this scene remains to be seen. I personally put my money on this being a reimagining of Swoop, but one way or another I think we might see Beast Wars fairly soon. The Dinobots can certainly be that bridge. This movie will certainly set up a lot of future material if this is indeed the beginning of a new trilogy. Adding the Dinobots certainly opens up a lot of possibility – one of which being Beast Wars – but if that Megatron-esque figure is indeed Galvatron, that could also mean Unicron could also be in the works as well. Transformers 4 truly gives us all the potential the original Transformers had, but hopefully any follow ups will keep the writing good and make us all proud.